The fans of poker and casino games in Belgrade surely knew that on December 15th all casinos and poker clubs in the city centre were closed. But what did really happen and more importantly, how did it happen? Direction for games of chance and Department of Treasury issued a public call for licensing the first casino in Belgrade. Consequently, four applications have been submitted, among which are two of the largest European casinos: "Grand Casino", whose co-founder is Casino Austria, and "Hit International", whose co-founder is "Hit" from Slovenia. The Commission in charge of the procedure decided that the remaining two applications were incomplete. Grand Casino delivered an offer in amount of â‚¬18 million, and statute predict minimal amount pay for licence â‚¬500.000. At "Grand Casino" company in Serbia, 51% shares are in the hands of "Austria International" company, 39% Greek Club Hotel "Lutraki", and 10% Serbian State Lottery Fund. The license for the game room, which is to be 30km in diameter of Belgrade City Hall, is granted to a 10-year period. Accordingly, all the already existing gambling places which are less than 15km away from the Belgrade City Hall, and which are known as "Casino" had to change the name to "slot-club" by December 15th. In addition to this, they had to cancel some special games, i.e. live games. The casinos Fer Play, London, Slavija, Partizan etc. were thus closed. 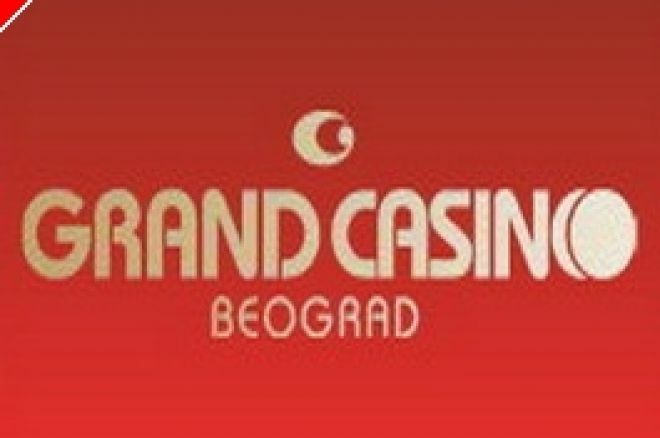 While casinos and poker clubs in Belgrade were considering the possible solutions, the Grand Casino continued with its project in this part of Europe. Due to the renovation of the "Jugoslavija" hotel, where Casino Belgrade is located, the entire project had to be delayed. Therefore Casino Belgrade was opened June, 30th, however, not on 5000 m2 as was planned, but on 500 m2. This was done so in order to keep the license, and the rest of the partial opening of the location was continued throughout the year. The spokesperson for the Casino Belgrade Ljiljana IliÄ‡ announced that at the initial working stage of the Casino 60 slot machines and 6 live game tables are available (three roulette tables, two black-jacks, one casino stud poker) and the staff is made up of 150 people trained by international experts. According to the plan presented right after issuing of the license, "Casino Belgrade" will open a five-star hotel of "deluxe" category, which will have about 400 parking places. The hotel will boast a lavish restaurant, lounge bar, several cocktail bars, and a multifunctional hall. Gambling aficionados will have the area of 5.000 m2 at their disposal, as well as 30 tables for casino games and about 250 slot machines which will be situated in two levels. Paul Herzfeld, general president of Casino Austria International said at the opening of the Casino Belgrade: "This is one of the greatest projects we have taken up so far and it will set a new criteria of value for the entire European casino market. "Casino Belgrade" is going to be the final product that incorporates the latest and the best from the field of entertainment and gambling. Moreover, it will show once and for all that a modern casino has nothing in common with the old version of "ragged gambling den". Casino industry nowadays represents a highly respected job by offering entertainment and excitement in a safe environment. Complete integrity, transparency and a high level of responsibility towards the customers are the primary values in every one of our casinos."